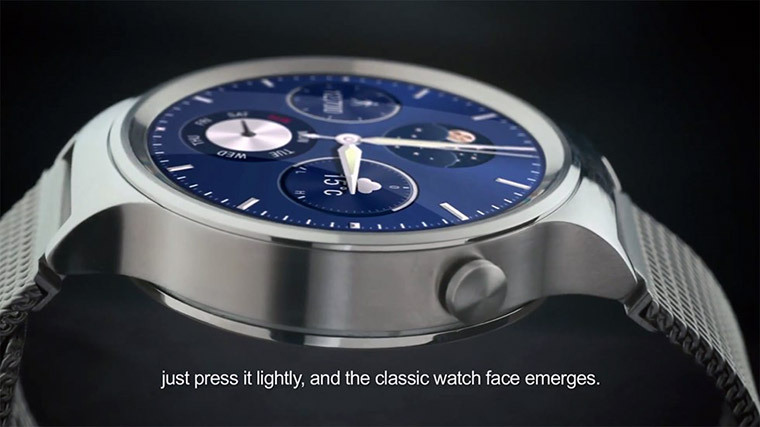 Huawei brings you this smartwatch which can pass off as a stylish designer wrist watch. The watch is worth an investment as this watch epitomises style while it exhibits excellent technological features. The watch boasts of many features that make this watch worthy of consideration. It features a full circle face that is similar to that of traditional Swiss watch designs. It is made using the scratch-resistant sapphire crystal surface, cold-forged stainless steel body and comes in fine leather and stainless steel band variants. The watch also comes with bands that fit women’s wrists. The interchangeable wristbands make sure you are in tandem with the latest trend. 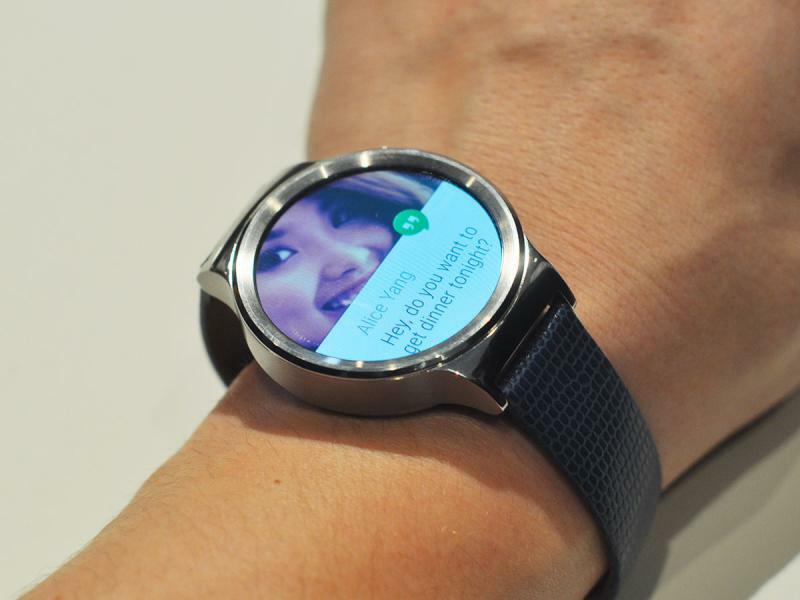 The Huawei Watch is equipped with a 1.4-inch circular AMOLED display, which has a 400 x 400 resolution. The brilliant colour display is worth shouting about. It runs on a dual-core 1.2GHz Snapdragon 400 processor and 512MB of RAM, which lets you install your favourite apps. The watch is powered by Android WearTM. It features iOS and Android compatibility which means that you can sync the watch with an iPhone or an Android phone. It has built-in Wi-Fi and Google Now voice command, which makes this watch, highly functional. The 42 mm diameter offers a compact design. An ergonomic button is placed at the 2’o clock position. Press it lightly to see the watch face emerge. The watch gives you the liberty of customising the watch face, as you can choose from the various watch face designs that suit your personality and preferences. Excellent features like the state-of-the-art activity tracking technology, which has a built-in heart rate monitor and exercise pattern recognition is embedded in the watch. Whether you are at work or busy doing daily chores, you now have the liberty to read text messages, see who is calling, get email alerts. All these, without the need to get your phone out. The always-on screen and the timely notifications help you prioritise right from your wrist, by just swiping with your finger tip. What more? You will be able to control your music while you are travelling. Enjoy a seamless digital experience and steal the show everywhere you go.